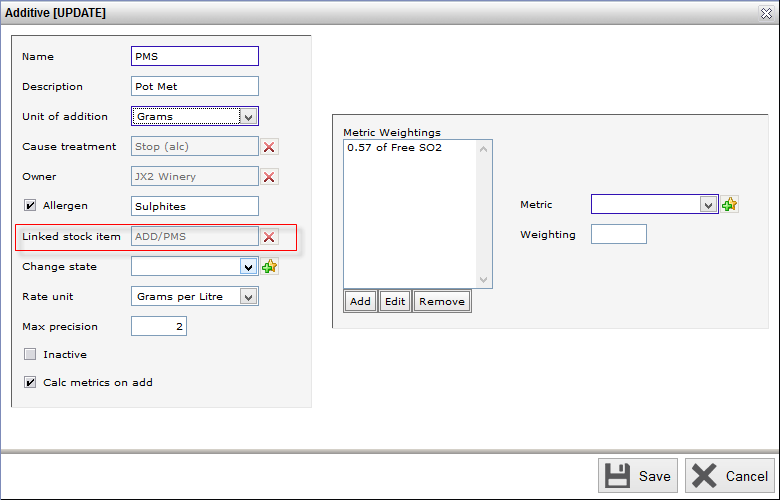 Additive costs can be tracked inline to the wine production process. By setting up your additions with costs you can pass the costs of your additions onto the wine. There are a two ways to do this, depending on what modules you currently have enabled in vintrace. 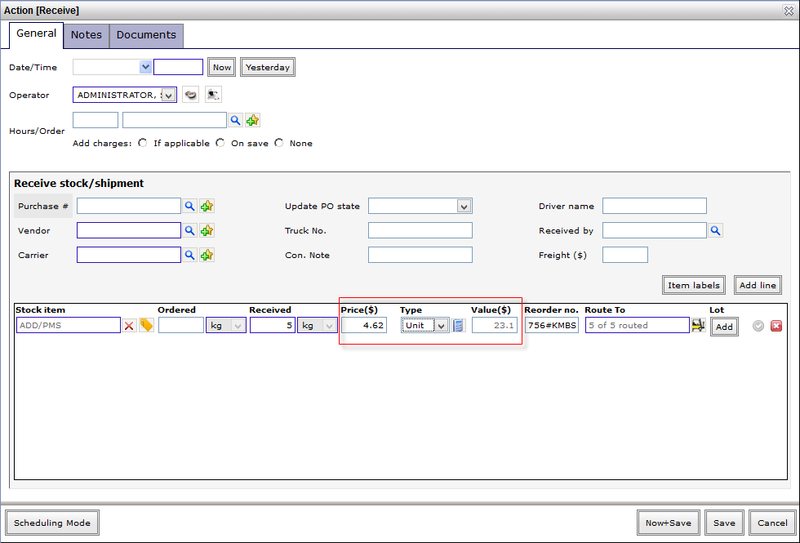 If you have opted for the Costing module only, additive costs can be tracked automatically as additions are made to your bulk wines. 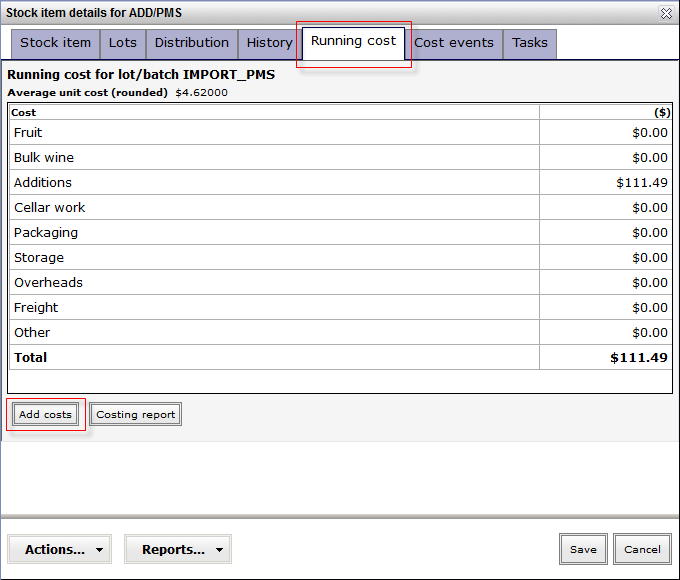 You’ll need to configure a custom Cost item under Winery Setup > Costing > Cost items for each Additive that you want to track costings for. It is important to set the Charge type to the Additions option and to set the Default value ($) to be the dollar value for the unit of addition of each additive. 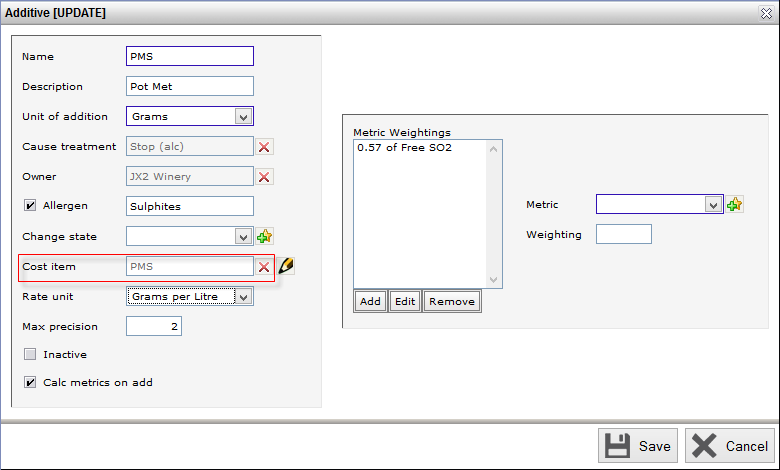 If the addition is made in weight units (mg, grams, kilograms, etc) select kilograms as the price per unit. If the addition is made in fluid units (ml, litres, etc) select litres and the price per unit. 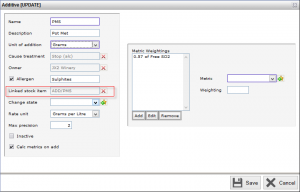 If the addition is made in units or most other units of addition select Unit or Each. For example; if the unit of addition for PMS was Grams and you have calculated the average cost of PMS per Gram at $1.20, you would then set the Default value ($) to $1200 per Kilogram. 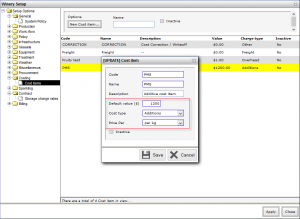 Over time the average cost of your additions will change so you will need to update the Default value ($) under the Cost item setup each time this occurs.These changes will only affect future additions and are not retroactive. With the Advanced Inventory module enabled you can link your winery additions to inventory stock, this allows you to track both stock levels and costs of your additions. When an addition is made to the wine the system will transfer the consumed portion of the stock costs to the wine. 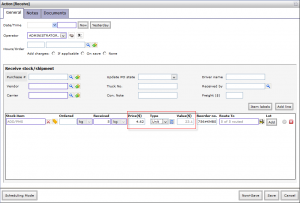 A additional advantage of this is you can track your stock in batches/lots with the batch tracking functionality of the inventory module.With this you can have separate costing for each lot of stock you receive so you can have variable costing depending on which stock lot is selected. 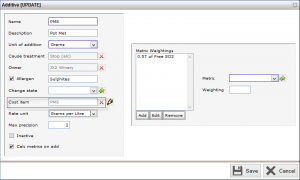 This is particularly useful if you want to track costs using a FIFO or LIFO methodology as opposed to Average weighted costing. 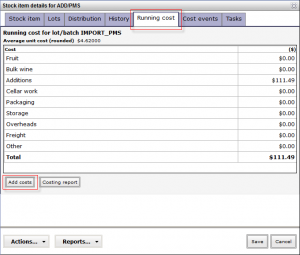 When receiving stock items you can enter cost information or add it afterwards by using the Add costs option from the Running costs tab when viewing a stock items details. When backdating costs onto stock items, even if the additive has been applied to wines, the costs will ripple forward throughout the bulk wines to which it was applied and/or blended.